This year Texas THON made a lot of bold decisions. The one I am most proud of is our decision to embrace love. We spent the year focusing on the love we have for our dancers, our donors, our sponsors, ourselves, and most importantly our kids. As a fourth year member of this organization, I have witnessed an incredible transformation within the culture of Texas THON. I joined this organization and had a very different initial first impression of the Dance Marathon movement than the one I currently hold. I thought I had to wait to make miracles. I thought an executive board title was on the list of requirements to change a child’s life. I thought loving something was not enough. Thankfully, I was very wrong. Over my past four years, I have seen miracles come from the most surprising places, and all of those places are centered in love. From the homeless man who always offers the best intersection for bucketing to me, to the miracle maker’s mother who emails me once a week about how thankful she is that her daughter found her home on campus within an organization that benefits the hospital that saved their lives. 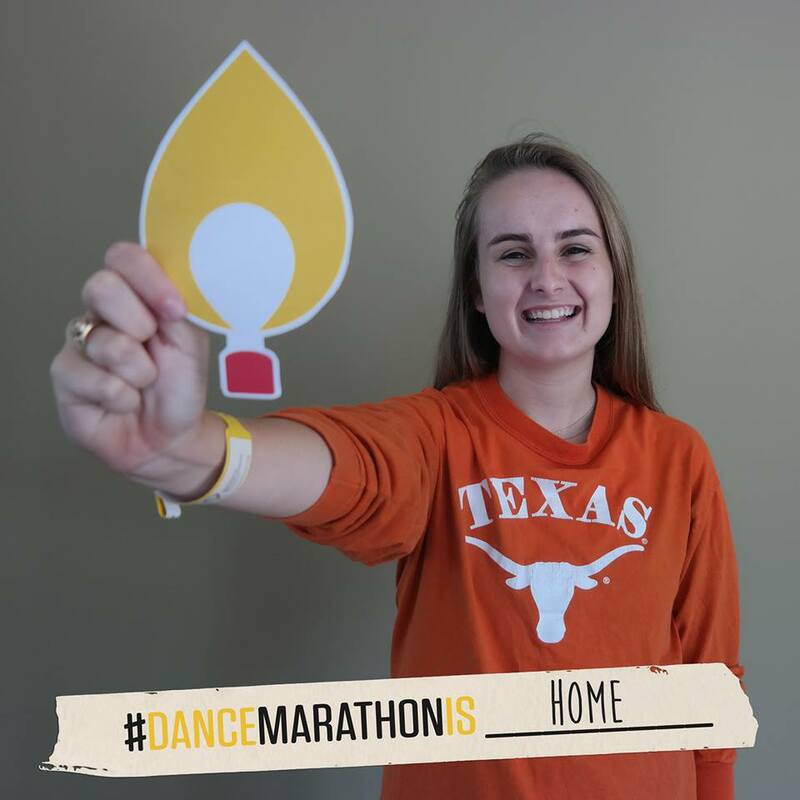 Every individual I have had the opportunity to interact with through the avenue of Texas THON has taught me more about the how simply loving something can make all the difference. Love’s Travel Stops & Country stores is another example of one of those surprising miracles. Two years ago we were selected as a beneficiary of the Love’s Dance Marathon grants. That surprise saved us after unfortunate circumstances led to us almost not being able to put on our event. The next year, Love’s decided to expand their grant program and opened it up via application to all of the over 320 Dance Marathon programs. We were fortunate enough to be selected as one of 20 schools who would receive funding, and have been able to embrace this decision to love even further because of it. This gift has allowed us to focus less on keeping our organization afloat, and more on stewarding those who support it. I could go on and on about the difference Love’s has made, but I will let the results do the talking. We decided to set a goal of $262,000. Representative of the 26.2 miles in a marathon. A few of our Miracle Families have expressed that having a sick or injured child is like running a marathon at a constant sprint. Last year, we were able to raise $175,061.44, and this year we were very afraid of increasing our goal by almost $100,000. At 10 PM, on March 5th, 2017, Texas THON announced that we had raised $282,338.97. We know childhood illness will never stop running, but I have to say I really like the pace Texas THON is racing at. Thank you Love’s, for allowing us to embrace Love.